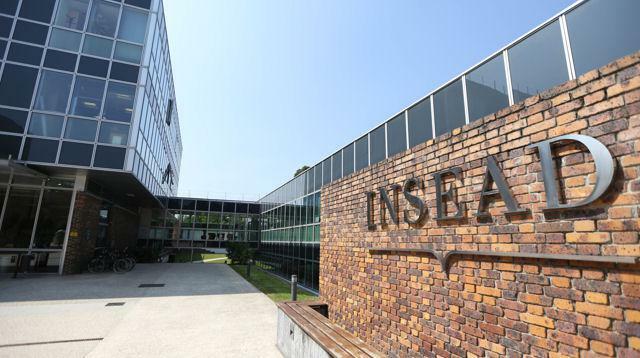 INSEAD's Global Executive MBA programme (GEMBA) offers experienced executives an intensive 14 to 17-month fast-track to the top via one of the world’s most prestigious and multicultural business schools. The programme takes place in fully integrated campuses across three regions: Europe (France), Asia (Singapore) and the Middle East (Abu Dhabi), while the convenient and efficient modular schedule allows you to combine the programme with a full-time job and other responsibilities. Each class has an unparalleled diversity of nationalities and business backgrounds, enabling participants to learn from each other and build a close-knit yet globally distributed network. The Leadership Development Programme (LDP) is another unique feature of the course. Combining a wide range of innovative learning methods, including individual and group coaching, 360 degrees assessments and team activities, the LDP is designed to help you develop an authentic leadership style. With the world in your classroom, you will emerge with confidence and a global perspective that will accelerate your career even further. Two degrees. Two prestigious schools. Two alumni networks. The Tsinghua-INSEAD Executive MBA (TIEMBA) is an 18-month dual-degree programme designed by INSEAD and China’s prestigious Tsinghua University in Beijing. The programme is delivered across four campuses (Beijing, Singapore, Fontainebleau, Abu Dhabi), providing you global exposure as well as deepening your understanding of emerging markets such as China. As a participant you won’t just exchange perspectives within an elite, dynamic, culturally diverse class of experienced managers; you’ll also join two powerful alumni networks. You won’t just learn from some of the world’s great business thinkers; you’ll also encounter a rich blend of learning philosophies. This 22-month modular programme consists of 12 core courses during the first half of the programme. Thereafter, participants will choose their electives to go deeper into some disciplines covered in core courses and explore new areas. There are also the Key Management Challenges, which are innovative courses that cover broader, multi-disciplinary, company-wide issues. Participants will spend 12 weeks on campus (approximate 58 days) where you will need to work on a final thesis before graduation. A unique feature of the TIEMBA programme is the Leadership Development Programme (LDP), a comprehensive ‘programme-within-a-programme” that follows and shapes your personal and professional development – and runs throughout your time as a participant. The LDP includes group coaching, 360-degree assessments and team activities, designed to develop a leadership style that is authentic to you – and thus accelerate your career progress even further.